It’s been six years since Daniel Pink published his seminal work on motivation. In Drive: The Surprising Truth About What Motivates Us, Pink asserts that motivation is largely an intrinsic value, which can be broken down into three principles he labels as Purpose, Autonomy and Mastery. These three concepts were threaded through a recent panel discussion on the Future of the Workforce at Dell World 2015. The panel, hosted by Lindsey Pollak, bestselling author and Millennial Workplace Expert, included Dell customers Kevin Nelson, Senior Vice President of Strategy and Technology at MultiLing, Jake Jakel, IT Operations Manager for New Belgium Brewing; Sam Guess, VP of Global Compensation and Human Resources at Dell, and Ed Boyd, VP of Experience Design for Dell Client Solutions. Pollak guided a spirited discussion about workplace needs as well as ideal experiences needed to attract, retain and grow the workforce of the future, which will be dominated by the millennial generation. There’s no question technology plays a major role in empowering the millennial workforce. Dell’s Ed Boyd related recent findings that workers are more apt to accept new positions if there is a significant improvement in their ability to connect with teammates. For Dell Services, in which there is a large concentration of remote workers, it means making it easier to stay connected to virtual teams by using online collaboration tools, and offering flexible schedules as a backbone for increased efficiency in communication. “At Dell our strategy for an empowered workforce is very clear. We want to get, we want to keep, and we want to grow [our workforce],” Guess said. That involves listening to workers and responding quickly to their expressed needs for autonomy and mobility. All panelists agreed there are many common misperceptions of millennials. Sam Guess categorized one misperception by saying that his experience with millennials was that they were not “job hoppers, but rather experience hoppers.” He added that a motivated workforce, regardless of age, needs to be more invested in the experience of work around the clock, not just from nine to five. “Purpose is also important,” Jakel said. “At New Belgium we find that working toward a completion goal is much more effective if there’s a community reward somehow involved,” referring to New Belgium’s recent cause, Protect Our Winters, which enables New Belgium development teams to work with collaborators to combat climate change. In the end, panelists agreed millennial employees’ desires are not so different from other generations’ preferences. They want strong leaders, career opportunities, a healthy balance between work and home life, and a feeling that their work has meaning. Organizations that fulfill these needs will win over millennial workers … and all other generations as well. 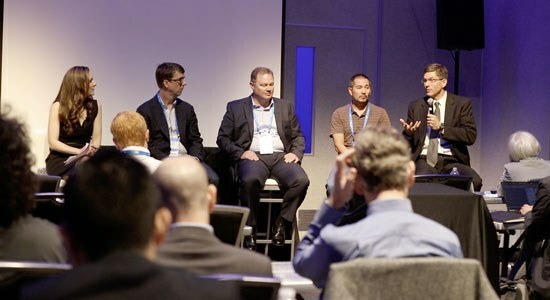 For more information on how to empower your workforce, check out Dell's Empowered Workforce initiative, and subscribe to the Dell Services YouTube channel for a highlight reel of the panel discussion.